The process of weatherproofing is usually used to prevent the penetration of water. This is typical for items made from cloth or other non water-resistant materials. Unfortunately, the material that is used to water-proof an assortment of products often consists of various chemicals. While the result is a fully weatherproofed gear item, it is often at an expensive cost. 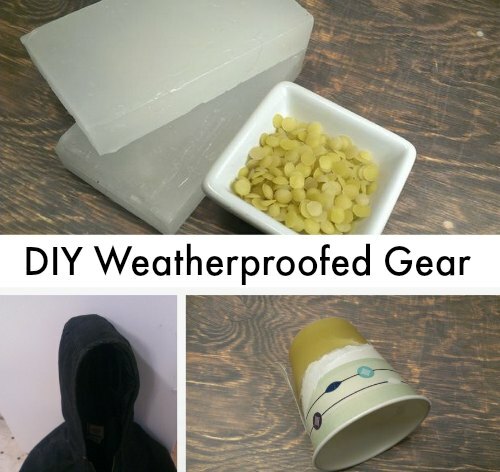 Fortunately, there is a natural and affordable alternative that you can use to obtain weatherproofed gear at home. Many commercially available products can be used to weatherproof various types of gear. However, your best option is to use paraffin wax and beeswax. With a little research, we were able to find guides that will take you through the waterproofing process that is suitable to use on tarps, bags, boots, and jackets. The only things you’ll need are the ingredients necessary for inexpensive weatherproofed gear. Keep in mind, however, that the process to prepare a homemade weatherproofing product requires the use of a stove. Wax is a key ingredient and you will need to melt it over the stove to be able to use it for your weatherproofed gear. Since the wax will be hot, you will have to take basic safety precautions. This includes properly preparing the area to do all the work. If you are wondering how to melt the wax for your waterproofed gear, the best way would be to use a double boiler. After the product is completed, it will need to be poured into paper cups. One thing to keep in mind about weatherproofed gear is the final application process. The wax substance used for your weatherproofed gear will need to cool before it can be used. After it has cooled, you will need to apply the waterproofing to all of your gear by hand. However, throughout the process you will be reheating the wax with a heat gun or by using another source of heat.